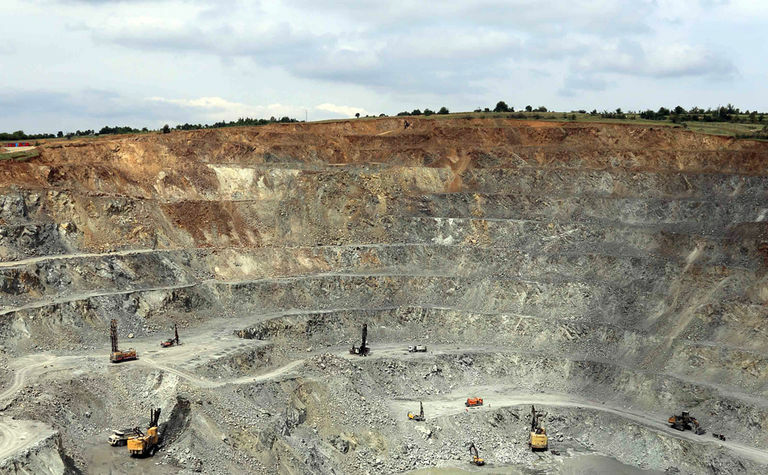 Bucim copper mine witnessed when they started using Metso's MDM300 mill discharge pump. The right pump for the job improves results. This is something that the Bucim copper mine witnessed when they replaced their existing pump with Metso's MDM300 mill discharge pump. As every detail in a mining process matters in production, the mine was rewarded with a 20% savings in power, 0.5% higher metal recovery rate and 10% longer pump wear life. All this adds up to a very successful installation and reduced operating costs. 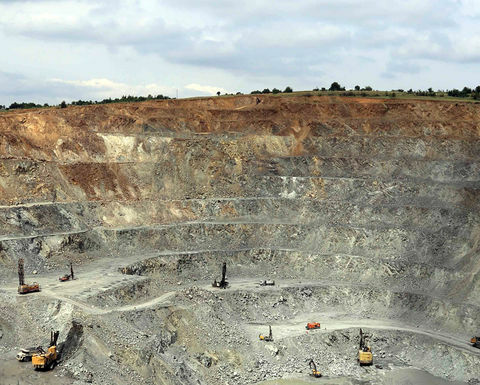 Bucim is the largest open-pit copper mine in Macedonia, located in the southeastern part of the country, about 130 km from the capital of Skopje. Although the mine has been operational since 1978, it closed for a short time after being privatized in 2000. In 2005, the Russian company Soleway purchased the mine and has turned it into one of the most successful companies today in Macedonia, operating at an outstanding 98% efficiency in overall equipment effectiveness. The copper concentrate from the mine is of high quality without significant impurities and is therefore sought after by European smelters. The mine produces 4.5 million tonnes of ore per year with an annual capacity of 2,000 tonnes of cathode copper. In 2014, the mine experienced serious control issues with its hydrocyclone pump, resulting in dry running, inconsistent feed and low throughput. Bucim aimed to stabilize its flotation process, increase recovery, reduce power consumption and prolong the wear life of its pumps. The mine knew that the pumps were at the heart of its flotation process. Choosing a more reliable and efficient pump would enable the entire process to be more efficient. Based on a long-existing relationship, Bucim turned to Metso to ask for a solution to this problem. Metso analyzed the process to determine the right pump size to maximize wear life and to operate at the highest efficiency. The MDM300 was selected, since its hydraulic design limits the inlet velocity, enabling operation at the best efficiency point. Its high-performance materials provide resistance against abrasive, corrosive and erosive slurries, and its low-noise design easily meets the decibel level requirements. The MDM300 pump was packaged along with a variable frequency converter and successfully installed in April 2015. 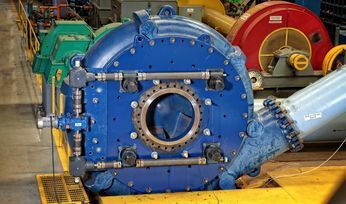 This enabled the mine to regulate the pump rotational speed and control the inlet tank level, stabilizing the process and eliminating the dry running. Zivko Gocev, Mining manager at Bucim says: "The pumps are the heart of our flotation plant. Without them, the process would stop. You can compare the pump to your heart pumping in your body. If the pump is efficient, the whole process is efficient." By having improved control over the process, the mine achieved better separation and an impressive 0.5% increase in metal recovery rate. Since dry running was no longer an issue, pump wear life improved by 10% and overall power savings of 20%. Based on these excellent results, the mine decided to install a second MDM300 in April 2017. "We are extremely happy with the Metso package, which combines exemplary service and quality products. We have now operated the MDM300 pump for over 8,000 hours, without incident, and achieved a 20% power saving. This product offers a good design, easy wear adjustments and maintenance. We're looking forward to continue reducing our total operating costs." Zivko Gocev continues. Since its start in 1978, the Bucim mine has been fully committed to its social responsibilities in the region. The mine donates money each month to maintain roads, to support monasteries, educational and sports facilities, to provide medical equipment for hospitals and nurseries, and to promote cultural activities. With 700 employees, the mine is also the largest employer in the region. 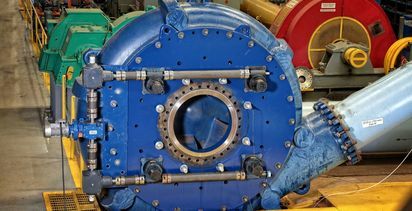 Read more about our mill discharge pumps here.